CCTV cameras San Diego offers a monitoring system that allows residential and commercial property owners to record a footage that is based on programming of the system. A CCTV, or Closed Circuit Television, describes a kind of system that records and captures a video on a connected, closed system. This makes its difference from a broadcast television as CCTV system involves a wireless connection or a direct cable to properly, multiple attuned receivers. The CCTV systems are usually used and installed for surveillance purposes, as well as to increase the levels of security and safety. The most basic purpose of CCTV San Diego is to provide surveillance and monitoring in an area. This area monitoring and surveillance can certainly help to deter the illegal activities by showing them a threat of prosecution, and records the activity of those people who are not easily swayed by the presence of CCTV cameras San Diego. CCTV camera San Diego can also be used in monitoring different situations, ranging from huge gathering to the more personal purposes such as the elderly or baby patients with health conditions. The constant monitoring will allow and immediate response and alert especially in cases of emergency, which can also be used as evidence in the legal cases. 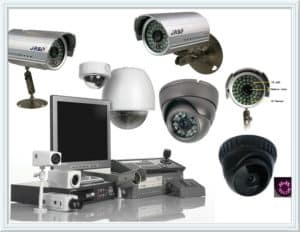 The most basic CCTV system is consisted of 3 components: the storage or recording device, the monitor, and of course, the camera. These equipment pieces are connected with the used of wireless signals or coaxial cables, which loads the image data the CCTV cameras San Diego captures for the recording and viewing. Different varieties and styles of cameras are available for you to use, but choosing one should depend upon your specific monitoring and surveillance needs, including the dome types, zoom cameras, and outdoor models. Analog Cameras – this is the traditional setup where the CCTV cameras are linked through the use of the coaxial cable to the DVR (Digital Video Recorder) or monitor. IP Cameras – A high quality and mainstream CCTV cameras San Diego setup that links to a networked server that allows the footage or image to be recorded and be viewed anywhere through the use of internet. Hybrid – For the businesses with the analog cameras seeking addition to the existing units, the hybrid system will allow both the analog and higher quality IP camera to be set-up and viewed on similar DVR. 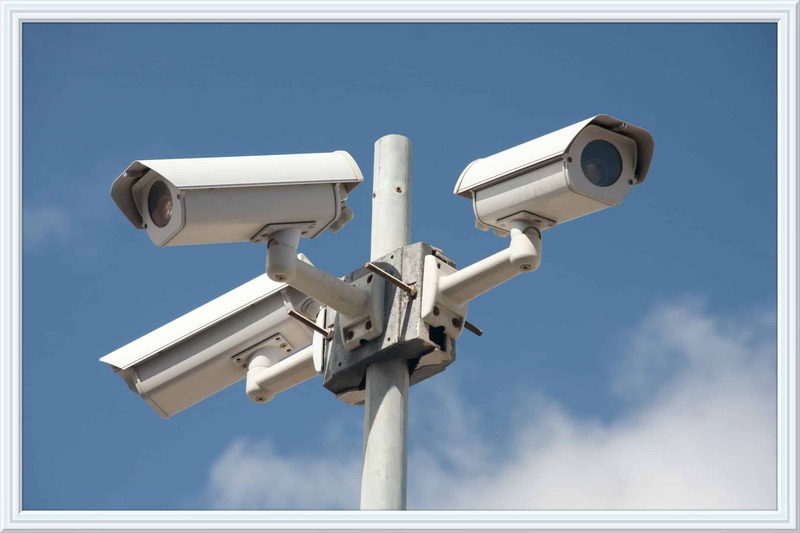 CCTV is usually funded and maintained by a partnership that consists of the businesses and the local authorities. In this simple way, it’s a physical demonstration that the local authorities, police, and businesses are working together in order to make the communities much safer. As well as assisting with the detection, the CCTV cameras San Diego can also act as a deterrent. An area or building with an installed CCTV somehow becomes protected as it becomes a less attractive target for a crime if the offenders are aware that his/her actions are recorded and observed. The public support to use CCTV San Diego is very strong. People nowadays are greatly appreciating the importance of CCTV cameras in the detection and prevention of crime and may lobby for installation in the area where an anti-social behavior is a common issue. CCTV also greatly contributes to fights against the terrorism. 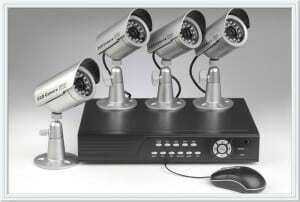 The value of CCTV cameras San Diego as a surveillance tool is very immeasurable. The ability that allows us to detect suspicious behavior can provide the security and police services a much better ability to end the terrorist activities in tracks and completely protect the public away from harm. You need the CCTV assistance and installation to you a great security installed. Having an on-site guard on duty is the traditional way in order to protect the property. With the introduction of the very affordable CCTV systems, the number of guards on-site was greatly reduced. In the security world today, the CCTV cameras San Diego is providing modern property protection, which effectively eliminates the need for an on-site security staff. CCTV has a motion detector circuitry installed and used in cameras for years. The Digital Video Recorder and Multiplexers have the motion detector circuits that are used and installed in them too. These motion detector circuitry fields can possibly be individualized for each of the cameras view. In the past, these fields have brought up a camera view to the main monitor for on-site security staff. The alarm in motion detector also gives signals to DVR or VCR in order to start the recording in real time. The advances in our modern technology have enabled us to install CCTV cameras San Diego on our residential and commercial properties to eliminate the need to many on-site security staff. The combination of internet, motion detection technologies, and cameras enabled us to have a round the clock surveillance and monitoring of the property. The installation cost of CCTV system as well as the monthly charge for central station services can provide a ROI (return on investment) that can be recovered in just 12 months in usual cases. People, including the security staffs are just humans and can make mistakes. That’s one of the reasons why it’s very important to have CCTV cameras San Diego installed in your home or business premises. The CCTV systems are always active and can see what’s inside their field of view and will certainly do what they’re programmed to do. The pre-programmed dependability and reliability of CCTV San Diego can provide 24/7 security to your property.